Stella Adler Academy of Acting & Theatre - Los Angeles... Invites you to submit a short-form play to be included in A Light in Dark Places: A Collection of Plays for Hope in accordance with National Suicide Prevention Week Selected plays will receive a six-performance run and a $50 prize Performances will be the weekends of Sept. 7th-9th & Sept. 14th-16th at the Stella Adler Academy of Acting & Theatre - Los Angeles in Hollywood The plays are to explore the theme of Suicide Prevention with a focus on the experience of living with mental health conditions, the after-effects of suicide on those left behind, and resources for those in need. These suggestions are in no way meant to hinder the playwright’s creative process and the story that he/she would like to tell. However, please keep in mind that we are a play festival that seeks to bring understanding, awareness, and hope to those struggling. Please see the accompanying .pdf produced by the American Foundation for Suicide Prevention, which will provide some guidance on how these issues may best be safely addressed. Up to six plays will be selected from the submissions. Selections will be announced on or around June 22nd, directors will then be assigned, and casting will commence in August. A four-week rehearsal period is anticipated. To apply, playwrights must submit an original 5 to 15 page, double-spaced script (previously produced scripts are not eligible) via email to: submit@alightindarkplaces.org. Applications must be received by 11:59PM PST, Saturday, June 9th, 2018. The script must have the playwright’s name, email, address and phone number at the top of the first page of the script and include a detailed cast breakdown. All pages must be numbered. For further information on A Light in Dark Places, please visit www.alightindarkplaces.org or check out the blog written by producer Kelly O’Malley for the AFSP (https://afsp.org/creating-light-dark-places/). 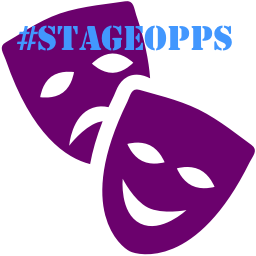 The submission deadline has been extended to June 12th for #StageOpps subscribers! Don't forget to email specialoppscode@gmail.com to get the special code for this month's Special Opportunity! Since 2006, Artists’ Exchange has hosted the One Act Play Festival (OAPF) for the entertainment and enjoyment of the Cranston community. Short plays are submitted from local, regional, and national playwrights and then selected for performance by a panel of directors/actors. Casts feature community actors of all ages, backgrounds, and abilities. Eligibility: All plays must be received by Saturday, April 14, 2018. Any plays received or postmarked past April 14th will not be accepted for review. Plays will be reviewed and judged by a panel of community directors and actors on their artistic and technical merits, and collectively decided on whether they are “selected for performance” or “not selected.” Total number of selected plays is TBD, based on factors including number of submissions, length of plays, etc. Celebrating the new works of African American Playwrights. Fade To Black is Houston's first national play festival to showcase the new works of African American playwrights! Each year we select The plays of ten finalists from around the U.S. and produced them before a live audience. On the last day of the festival, a grand prize winning playwright (chosen by audience votes) will be announced. Eligibility: Your play must be an original, not previously produced, unpublished work written by an African American playwright. “Produced” - Your play was marketed for production date(s) by either you (its playwright) or a theatre company and was performed before an audience who purchased tickets to see the event. Staged readings are not considered productions. If your play has only had public or private readings, but has not been produced as a full scale stage performance, you are permitted to submit the play. "Published" - Your play is an officially published work and commands royalties from the producing theater each time it is performed. Submission form must be completed. Your play must be submitted in pdf format. Your play must be between 8-10 minutes long. Generally 8-10 pages of dialogue. Industry standard: 1 page=1 minute). Your play should accommodate a “bare-stage” set requiring only a minimum of removable stage props and require basic lighting and sound cues. Play must not be a musical. Play must not be written for children or youth. Play must not be a re-submission of previous Fade To Black festival seasons. Play must not be considered a translation or adaptation. The "final eight" plays for the 2018 8x10 TheatreFest will be performed on the Weathervane stage from July 19 to 22, 2018. Audiences will vote to select the first-, second- and third-place winners of the festival. Audience members will also have the opportunity to help select the 2019 festival's inspirational prop! The Sunday matinee will be followed by a reception and the announcement of the winners. Eligibility: Each play must include the 2018 prop, a sock monkey. Maximum running time is 10 minutes. Less is fine. Cast maximum is three. Any combo, gender-wise. No characters under the age of sixteen. No one-person plays, no musicals, or children’s plays. Playwrights must be at least 18 years old. Submitted plays must be un-produced anywhere and un-performed outside of readings, workshops, and festivals. Submitted plays may have been entered in other contests. You must be the sole creator(s) of the play and entitled to confer performance rights. If chosen as a finalist, you grant performance rights, royalty-free, to Weathervane Playhouse for four performances during the 2018 8x10 TheatreFest. The NewWorks@TheWorks Playwriting Competition provides an outlet for playwrights to showcase their work and have a chance to see their play produced on a professional level. 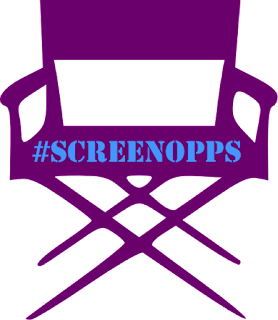 A panel of local directors, actors, and designers will review all submitted scripts and select six to receive staged readings. Eligibility: The submission must be written in the English Language. The submission must be an original, full-length play or musical that is unpublished. The play may be a One-Act as long as it reads longer than an hour. The submission must begin with a title page that includes the work’s name and the playwright’s name, address, telephone number, and email. Also, include a character list and scene breakdown if applicable. NOTE* If submitting a musical please, include a score and demo. You may submit score and demo via email. Submissions that have been previously produced or published will not be accepted. A play that is scheduled for a professional production at the time of submission will also not be accepted. The manuscript must be easy to read. It must be typed in no less that 12-point type and page numbered. The cast for the play or musical must be limited to no more than 10. The script may have more than one author. Also, the playwright(s) may include a brief biography, but it is not necessary. Each playwright is limited to one submission per year. There will be no revisions accepted once a script has been submitted. Revised plays that have been previously submitted to the competition may be submitted again. There will be no written or oral critique given on scripts submitted. We will notify the playwrights whose plays have been selected for readings. The six plays selected for readings will be announced on our website. Please send the manuscript to Playhouse on the Square, New Works Competition, 66 S. Cooper St., Memphis, TN 38104. In order to qualify for the 2018 – 2019 competition, the script must be submitted no earlier than January 1, 2018 and must be post marked no later than May 30, 2018. Please include a self-addressed, stamped postcard for receipt of the manuscript to be acknowledged. Also include a self-addressed, stamped envelope for the play to be returned, should it not be selected for the competition. Any play without a self-addressed, stamped envelope will be recycled if not selected for the competition. Do not send the only copy of a manuscript. All scripts will be handled with care, but Playhouse on the Square will not be responsible for any loss or damage to your manuscript. The fee is $10 for Dramatists Guild Members and $15 for non-members. Checks should be payable to Playhouse on the Square and should be included with the submission. We’re looking for writers in the Tri-state area to submit 3-5 minute monologues about a secret they’ve always wanted to tell. We want a variety of writers (comedy, emotional, dark...) The more “feels” the better. The Acadiana Repertory Theatre is committed to serve playwrights as a place where they feel they can develop work with a company that has a desire to help in the growth of both the playwright and the play. We strive to create a safe, creative, open environment for our playwrights and, using our own experience, along with the experiences of some of our friends from across the country, we seek to help playwrights create and develop shows that have the best chance of a long life of production. Please note: If your play is produced by Acadiana Rep and you desire to come down during the rehearsal process or for the production, playwrights are responsible for incurring travel costs. Eligibility: Should be full length. Should be no longer than 90 minutes, though exceptions are occasionally made. Should be actor/story forward. Have minimal technical and set requirements. Have a cast not exceeding 10. Should have limited to no production history and should not be published. Should be submitted in PDF format. Electronic submissions only. WomenArts is now accepting submissions for our second annual SWAN Day Song Contest! We are looking for inspiring songs about women that can be sung at SWAN Day events and at other community gatherings. If you have written a great song that fits our guidelines below, please send it in! The top prize is $1,000, the second prize is $500, and we will create other prizes depending on the entries we receive. The winning songs will be featured in the WomenArts Blog, newsletters and social media. • about Support Women Artists Now Day/SWAN Day. • We also will consider excellent original songs that directly address women’s issues (such as body image, reproductive rights, or equal pay) or songsabout women addressing important social issues (such as racism, immigration, the environment, or peace). We occasionally give small awards to songs just because we love them, even if they do not fit our guidelines exactly. Casting male and female singers, actors, dancers, character performers, and puppeteers for new and existing touring stage shows (with various touring schedules) of "Sesame Street Live!" Production Dates: Some contracts begin in May 2018, some begin in September 2018. Rehearses in Florida. Tour runs anywhere from six to twelve months. Pay: $1000/wk. for singers who move well. Pays: $800/wk. for dancers, characters, and puppeteers. All contracts include health benefits, as well as domestic and international travel. Seeking one woman, an actress with strong movement background or a dancer to be trained free as a Company Trainee and to be cast in roles of the Repertory of plays. Our performing art is known as "American Mime" (good acting skills with motivated movement from your own feelings in high form). The process will energize your creative life and produce performing skills needs for today's ever changing theater forms. An opportunity for a performing artist that will challenge your motivation to achieve proficiency. Must be available immediately. Production Dates: Must be available on Tuesdays and Wednesdays @ 5:30-7:30pm at our studio in NYC and for scheduled performances. Seeking a Set/Props Coordinator for a play (Cold Rain) that is being produced as part of D.C. Capital Fringe 2018. This is not a design position. There is a production meeting scheduled for Saturday, April 21st where a punch list of furniture and props will be finalized for pulling. Eligibility: The total budget for this project/position is $1300. Experience in pulling/procuring furniture and props in a theater setting is a must. The Relentless Award, established in honor of Philip Seymour Hoffmanand his pursuit of truth in the theater, is the largest annual cash prize in American theater awarded to a playwright in recognition of a new play. Eligibility: Play must be unproduced. Authors must have either United States citizenship, possess a green card, or currently reside in the United States and have lived here for at least four years. Plays with a producer, producing organization, or theater attached for future production are not eligible. One-act plays, musicals and plays for children are not eligible. The author must be at least 21 years old.